Hyderabad, August 31.. 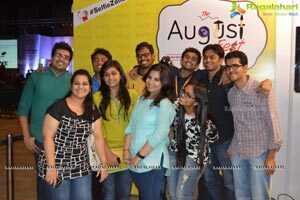 The two days India’s Biggest Start-Up Festival –The August Fest 2014 concludes here in city on Sunday evening. 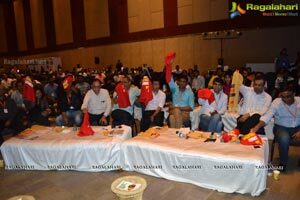 The organisers are jubilant about the overwhelming response and support they received in creating Start Ups Eco System in the City. 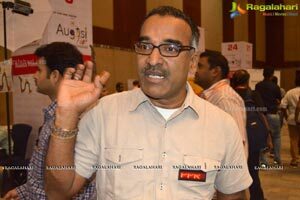 The Fest received record number of 2000 participation, which in the words of Ramesh Loganathan, one of the key organisers is beyond their expectations. The Fest has attracted applications from 160 startups seeking funding off which 22 were short listed and invited for for pitching. Some of the The 22 Startups which are shortlisted are as follows. Zupit; Menias; Innobytes; ea24x7 private Limited; Ourcause; Yo App; GAMECORP PVT LTD; Dolphin Leds; BigLeap Digital, Ekeeko; Gift somethin; Adnest; Insight; Jobstracer; Bestgift.in; Groupshoppy; Meraroomie; Light Saber; Mc Healthgrid; Guruhub; Happyweddings.nethe pitching, which continued on the day one and two. Off which atleast ten start-ups are expected to get funded. By the time this report is filed two start-ups: BigLeap Digital, YAWP Mag are got green signalling for funding. And more pitches were going on. 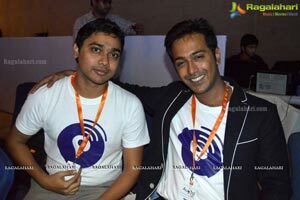 The fest attracted 50 plus investors, 10 Angel Investors and Seed Funding Companies. Sixty plus staftup who showcased their products, services and ventures by way of exhibition. 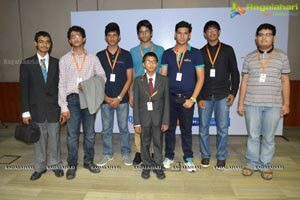 An Ideas camp was organised for third year Engineering Students and Young Professionals. 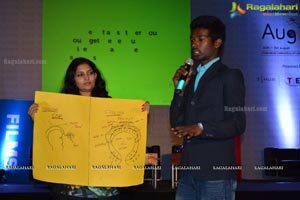 They were asked to produce innovative ideas in 24 hours of which five brilliant Ideas were picked up. These five business ideas will be nurtured over a period of 18 months and will be transformed into start up. For the first time twenty two Startups Resource companies such as incubators, accelerators, seed funding companies, angel investors, co work space companies have put up their stalls to take part in enabling start-ups and also help orgnaisers of the Agusut Fest to create sustainable startup ecosystem in the state informed Ramesh Loganathan. Giving more details Mr. Suresh Perugu, Mr. Kiran Chowdary, Mr. Subba Raju of East Sleep and Drink Starups, the Startup behind organising the August Fest said, we had the participation from World Economic Forum’s Shapers Fellows, Kairos Society whose aim is to develop entrepreneurs from the Universities around the world. We have several MNCs such as Microsoft, Google supporting with their entrepreneurship programs. ISB’s D-Labs team is actively involved. The Agro-business innovation platform from ICRISAT is plugged in. 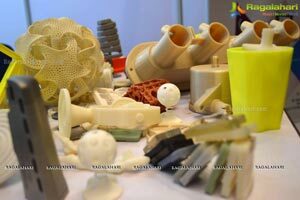 Engineering Staff Collge of India(ISCI) is actively involved with their Prototyping Centre. 30 High school students who are members of the The Young Enterpreneurs(TYE) participated and pitched for funding for their company Oakmont. These are the students between 11 to 23 years. These include the youngest, 11 years old Hyder from Glendale Academy and other schools like Kendriya Vidyalaya, Oakridge, Chirec and other schools. They are also planning to conduct Mock United Nations Conference here in city in December. 300 delegates are expected to attend the same from nine different countries. We don’t want aspiring and budding entrepreneurs to be bogged down with the legal, accounting, office space management, platform, mentoring support etc. They don’t have to struggle to find an investor or a VC to fund their ideas provided they have merit. 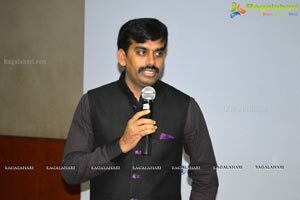 The incubation centre is the platform that provides the basic necessary support for the enterprising, young and dynamic youth to flourish informed Suresh Perugu. 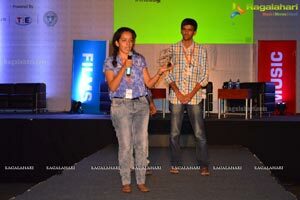 This fest is organised as a precursor to the proposed India’s biggest Incubation centre T-Hub, he informed. Validation is more important for us than funding and we are happy our Startup a Social Media Related Project got yes from investors for funding, informed Gautham of YAWP Mag, StartUp. 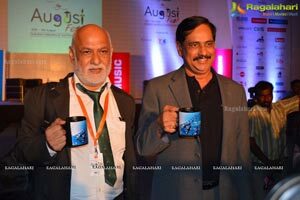 During these two days, the Fest had 40 plus sessions. Some of the eminent speakers include Mr.Ashok Rao, Global President of TiE who spoke about the magic of innovation and the art of entrepreneurship. Shushil Varma, Transit Architect behind Station design for Hyderabad Metro and NVS Reddy of the Hyderabad Metro Spoke about the designing of the Hyderabad Metro Stations. While addressing the gathering he said there are 200 massive public transport systems exist all around the World. Our endeavour was to develop Hyderabad Metro as a different from all of them. Lot of people had their reservations about it. But, we proved them wrong and won Global Engineering Product of the year award. The Stations are the interface between the patrons of the system and the system itself. Their function is to provide safe boarding and alightening, he said. 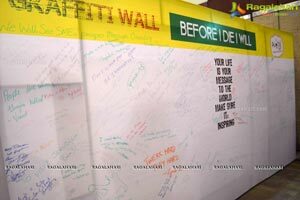 We will encourage creativity at all Metro Stations. We welcome ideas from public, he said. He also added that we build cities for cars. But, we must build cities for people, he said. The metro will run finally on March 21, 2015, on the occasion of Ugadi. 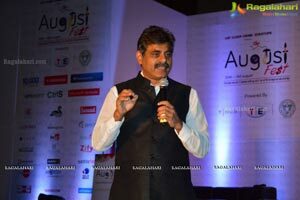 Addressing the gathering Mr. Vishweshwar Reddy, Member of Parliament and formerly Angel investor said “It is not the funding alone that makes your venture successful, but, you alone can make it successful”. In most of the countries, particularly in United States of America, 95 per cent of new jobs are generated by the StartUp, he said. 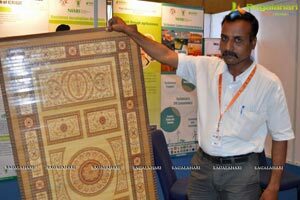 He later in the day on Sunday visited once again the August Fest along with his two sons Viraj and Vishwaraj and took them around each and every stall and spent lot of time knowing the various startup ideas. Vishal Gondal an entrepreneur and angel investor, best known as the founder and CEO of Indiagames addressed the Startups on Passion. India is a land of problems. And convert each of these problems into a billion dollars business opportunities, he told them. Startups needs to keep three things in mind: 1. Passion, 2. Focus and 3. Team to be successful he said. 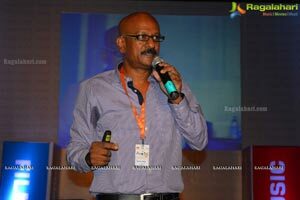 Sukanth Panigraphy, one of Bollywood’s leading art directors and production designers also addressed the early stage entrepreneurs and start-ups assembled at the Fest. He spoke about his work with waste—both electronic waste and plastic waste. He also showcased some of his works including useful art objects made out of Shopping Malls waste. Decomposing of a single piece of plastic takes around 1000years. During the August Fest, a logo design contest was also announced for the propsoed T –Hub. Show your genius by designing out T-Hub Logo said Harpreet Singh, Secretary, ITE&C, Govt of Telangana. The Contest begins from September 5. The best logo selected will get exciting prizes. For more details about the contest visit: http://dlabs.in/thub/logocontest.html. 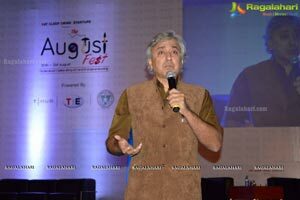 The August Fest is the carnival of Art and Entrepreneurship staged for the very first time at such scale. 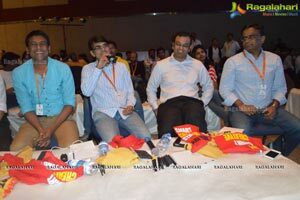 With this Fest, the organisers aim at bringing the complete start-ups ecosystem in Hyderabad on to one platform. 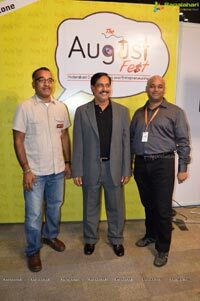 A host of organizations including TiE Hyderabad, HYSEA, NASSCOM, IIIT-H, along with a bouquet of start-ups came together for The August Fest.